It’s actually a type of grass, but bamboo is catching on as an alternative hardwood flooring. It’s priced comparably to more familiar woods, it’s harder than oak and it grows to maturity in a fraction of the time. Builders like it for its stability, homeowners love its aesthetic beauty and with forests worldwide shrinking, everyone appreciates bamboo’s rapid renewability. “The fastest growing segment in the flooring market is wood floors, and bamboo is among the fastest growing categories in that market,” said Randy Jordan, a salesman at High Desert Flooring. 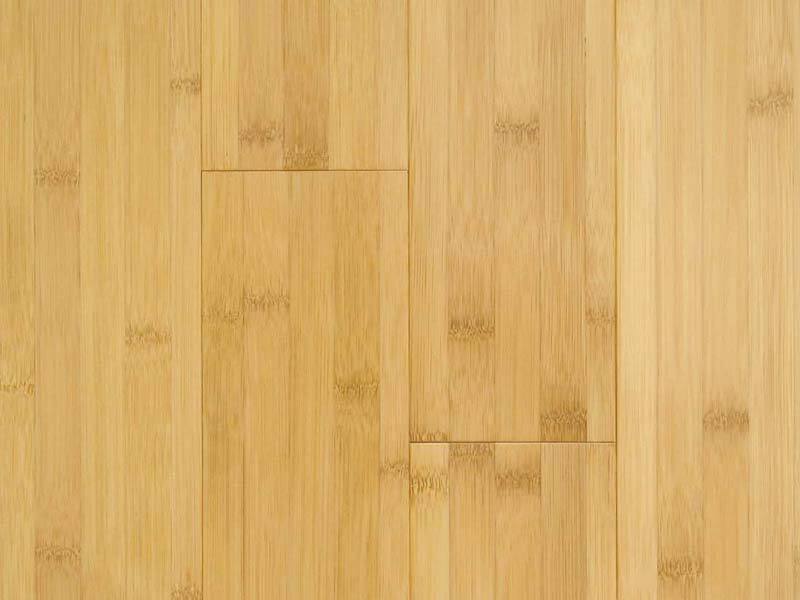 Most residential bamboo flooring comes in a natural blond color, or one that is several shades darker, the result of pressure steaming, Jordan said. Bamboo is a member of the sugar cane family. When it’s heated, its sugar compounds are caramelized, causing the wood to darken. Bamboo flooring is often finished with multiple coats of an aluminum oxide and polyurethane mixture for durability. One downside to bamboo is that scratches are more noticeable because it lacks the grain to hide them, said Kevin Mullany, president of Benchmark Wood Floors in Albuquerque. Benchmark, a retail wood flooring supplier and installer, also sells a number of bamboo flooring products. Michael Greutman, an Albuquerque chemical and nuclear engineer, chose the caramelized bamboo for his new home after seeing it in the home of some friends. “They liked it, so I started exploring it as a possibility and concluded it’s a great floor,” he said. Greutman’s wife, Kamila, an elementary school teacher, is from Europe, where wood floors are used extensively, so they were open to the idea of selecting a variety less common to New Mexico. Greutman had solid bamboo installed in his living room, dining room, kitchen, master bedroom, closet and hallway. The installed price came out to about $9 a square foot. His floor, purchased through High Desert Flooring, was manufactured by Teragren, a Washington company that is the largest U.S. manufacturer of bamboo flooring. Ann Knight, executive vice president and marketing director for Teragren, said there are more than 1,500 types of bamboo in the world, but her company uses only the Moso species that grows in the temperate climate of China’s Zhejiang Province. The bamboo stalks are harvested after about six years of growth, when they reach maturity. “Compare that to hardwoods, which often take 60 years to mature, and once you cut them they’re not renewable,” she said. The Moso species is 25 percent harder than red oak, and 12 percent harder than rock maple, Knight said. The $9-a-square-foot installed price is fairly typical, and comparable to what you would pay for oak, maple or other premium grades of hardwoods. To create a bamboo floor, the stalks are split lengthwise and reshaped into rectangular slats. These are kiln-dried and laminated together with high-tech glues. From these, either 4-inch horizontal- or vertical-oriented planks are created. “The flat grain on the horizontal planks is more fun and informal, while the vertical planks have more of a formal appearance, like a traditional hardwood floor,” Knight said. The planks can be nailed, stapled or glued to a cement or wood subfloor, but the subfloor must be level to avoid putting stress on the bamboo plank’s tongue-and-groove locking system. Teragren also produces a 7-inch-wide engineered bamboo plank. Only the top wear surface is bamboo. The core, or middle layer, is made from hevea wood from the rubber tree, and the bottom, or backing layer, is pine or eucalyptus. All the wood is harvested using sustainable forestry methods, Knight said. Engineered floors are stronger and cost about 50 cents a square foot more than solid bamboo, Knight said, adding they are more forgiving if the subfloor isn’t perfectly level. Mullany, a member of the board of directors of the National Wood Floor Association, and a NWFA certified inspector, said there is no agreement on a set of standards for bamboo, as there is for other hardwood flooring products. He recommends finding an established manufacturer and supply chain. Also, he said, check to see if the floor is warranted for homeowner installation, or if it must be professionally installed. Some engineered bamboo floors in New Mexico have failed because the core layer and the backing layer contracted and expanded at different rates than the bamboo wear surface, resulting in separation. Kevin Mullany, president of Benchmark Wood Floors in Albuquerque, recommends acclimating wood floors before installation by letting the planks sit for up to three weeks in the room where they will be laid. That equalizes the wood’s moisture content to lessen gaps between the boards when dryness causes the bamboo to shrink. “If a quality product is used, and if it’s installed properly, it will be a lifetime floor,” Mullany said.